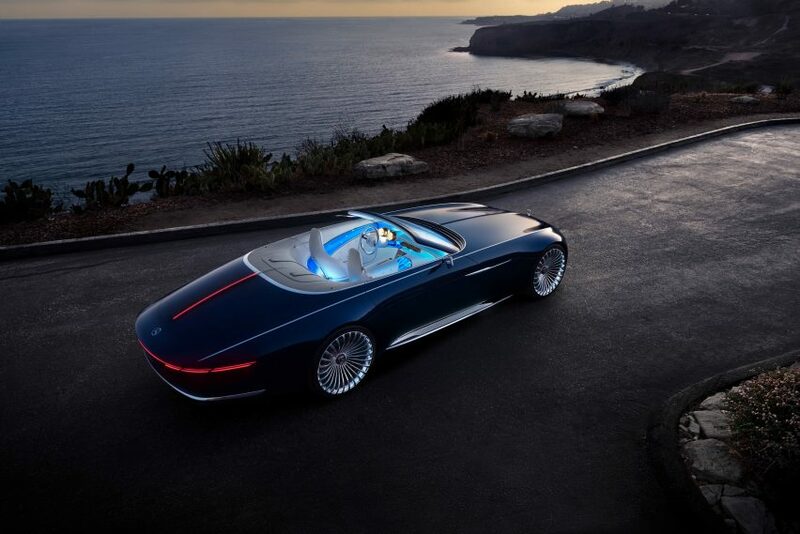 The Vision Mercedes-Maybach 6 Cabriolet, unveiled at the Pebble Beach Concours d’Elegance in California, is designed to offer a glimpse of what the German auto brand’s luxury models could one day look like. However, through its design, the company was keen to reflect the luxurious look of classic cars – taking cues from the art deco period for the shell, and creating a “haute couture” interior decked out in high-quality materials. 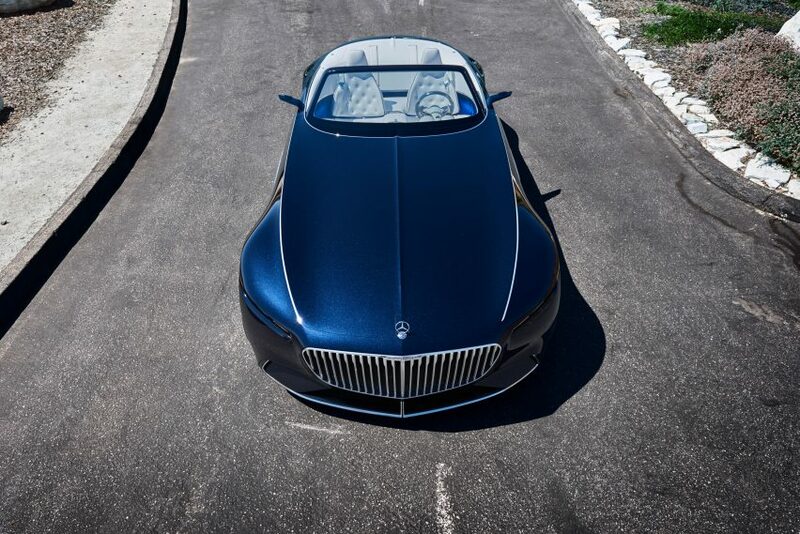 The car’s sweeping exterior is based on that of a yacht, and is painted in a dark blue named “nautical blue metallic”, with chrome highlights on its sides, bonnet and boot. Inside the car, which the company describes as an “open-air luxury lounge”, white leather has been used to upholster the seats – with trimmings finished in rose-gold threads. 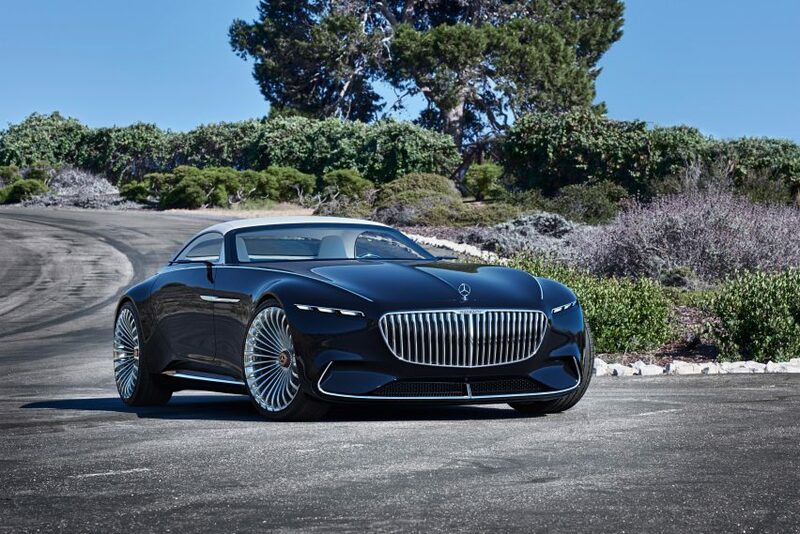 To keep up with the needs of future drivers, the Vision Mercedes-Maybach 6 is also equipped with touch-sensitive controls, a mapping function that links to calendar appointments, and a “concierge” that acts on voice command. 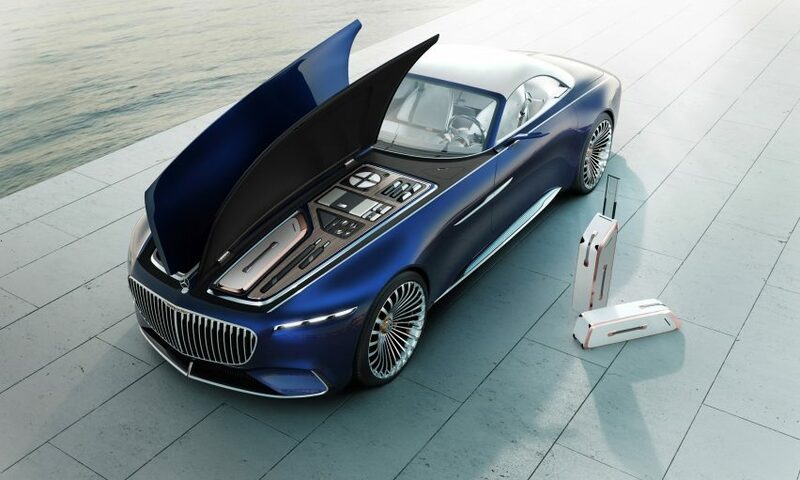 The Vision Mercedes-Maybach 6 Cabriolet follows on from the company’s Vision Tokyo – a self-driving concept vehicle created for “young, urban trendsetters” – and the drone-equipped Vision Van that features fully automated cargo loading and drones that drop off packages.